Realtek brings a diverse range of products which correspond to wide range of application; may it be for scientific, medical, or defence purposes. The diversity of our products covers micro and nano moulding with conventional and industrial application as well as moulding for building and packaging sectors. We also offer solutions for automotive and aerospace industries. Due to our unquestionable reputation in delivering quality products and services, Realtek plays a role as forefront supplier for Australia’s scientific community and leading manufacturing industries. Machine tools at Realtek will definitely assist businesses and manufacturers to make things happen and produce the greatest amount of output possible. Machine tools spares human muscles from strain and tension by employing electricity, hydraulics and line shaft work instead. Realtek provides the simplest to the most complex machine tools that will surely do the most efficient job for you. Amazingly, machine tools are capable of partial self-replication and produce machine parts too. Nano technologies are one of the growing trends nowadays. Realtek Australia is one of the leading suppliers of products utilizing the most excellent nano technologies available today. They provide advanced nano technology forms which produces great impact on the society and various industries. Parts which powers up nano-technology enabled devices may be minute, but they greatly improve efficiency in almost all facets of life and immensely advance manufacturing processes. As a highly skilled, technology edge based company, Realtek values their main product, technology, due to its enormous impact in the modern way of life. 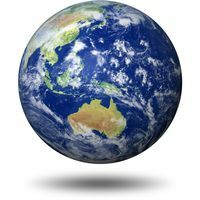 The company is growing rapidly with extensive global reach and highly developed international networks. The team of specialised engineers with diverse backgrounds in manufacturing, process and support works all over the world on a diverse range of projects. This global experience is ideal for meeting the requirements of an evolving market. Realtek are well known for their CNC Lathes and Turning Centres, but this year at Austech 2011 they showcased something special from Toyoda. 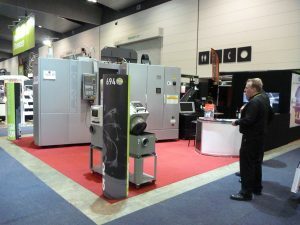 Austech 2011 was the perfect venue for Toyoda machine tool (Advanced Manufacturing Arm of the Toyota car company). Showing off its state of the art FH450S high-speed Horizontal Machining Centre, this very advanced machine tool offers some of the most advanced features available in a Horizontal Machining Centre seen on the world market. With Toyoda’s focus on production efficiency the streamline machine is a flexible modular system, which easily allows upgrades of automatic tool changes ATC’s, Automatic Pallet Changes through to the adaption of RGV (Rail Guided Vehicles) and Pallet pools. 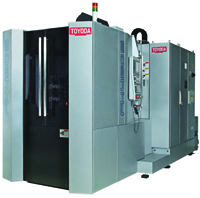 Toyoda’s ability to integrate and chop and change, even spindle configurations to meet the client’s needs is exceptionally unique in the market today. With vast experience in the automotive, aerospace, defence and mining sectors, Toyoda are now able to offer a complete engineering solution from a delivery system that has not been seen before on this market. When considering a Horizontal or Vertical machining centre, 3,4 or 5 axis standalone or with FMS (Flexible Manufacturing System), Please take the opportunity of considering a proposal from one of the world’s most successful and leading advanced manufacturing equipment and process providers.